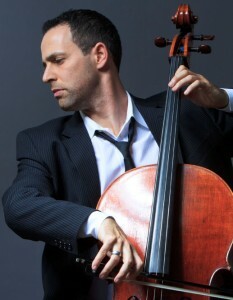 Jacob Szekely (cello) Born in Brooklyn New York in 1979, Jacob grew up in a musical family where his talent was recognized early on. Jacob discovered Jazz when he was accepted to study classical cello performance at the prestigious Interlochen Arts Academy, and thereafter began leading a musical double life with traditional classical performance and developing a completely new language on his instrument. By the time Jacob arrived in Los Angeles for his masters degree at USC, he had already launched headlong into his professional career. In 2004, Jacob formed the indie jazz string quartet Supernova with fellow creative string wizard Miguel Attwood-Ferguson on viola. With the addition of Robert Anderson and Ludvig Girdland on violin the group emerged as a dynamic force on the LA music scene and in the creative string world in general. The group which was hailed by Turtle Island string quartet member Danny Seidenberg as “The evolution of the string quartet” disbanded when violinist Ludvig Girdland was permanently injured in a car accident. Currently, Jacob is working with his new trio; a flexible, electric, groove based ensemble featuring pianist Josh Nelson on keyboards and drummer Christopher Allis. The group will be recording their debut album in November. In addition to his busy schedule as a studio musician, Jacob performs regularly as a sideman with numerous bands and singer songwriters in LA including the acoustic rock band Uncle Daddy. Szekely is also active as a composer and arranger and has collaborated with a wide range of artists and ensembles from string quartets and world music groups to commissions for chamber orchestra and children’s choir. In 2007, Jacob expanded his role as musical ambassador through the co founding and artistic directorship of String Project Los Angeles, a music school and resource for the alternative string playing community throughout the world located in Venice California. With its innovative curriculum and workshops featuring a veritable who’s who of the alternative string world, String Project LA was named “One of the top reasons to study music in Los Angeles” by Strings Magazine. In addition to String Project Los Angeles, Jacob has also conducted residencies and master classes across the united states at UCLA, Cal Arts, The Berklee School of Music, Oklahoma State University, Ithaca College and The American String Teachers Association’s national conference to name a few. Jacob has also served on the summer faculty of numerous summer festivals including The New Directions In Cello Festival and Christian Howes’ Creative Strings Workshop with whom he co authored an article in the July 2012 issue of The Strad advising string teachers on how to approach improvisation. In 2012, Jacob launched The Improvisor’s Guide to the cello… The first ever comprehensive video learning series designed to address the unique challenges classically trained cellists face when approaching creative string playing. Jacob is a Steinberger and Danish Professional Audio artist, a Yamaha Clinician, and performs on his five string Steinberger Electric Cello as well as several 4 and 5 string acoustic cellos.